National Day is intended to commemorate an event that is considered to be essential for impregnated. Unfortunately, as the time went by the national commemoration day’s essence is merely a warning. The warning, if you put it into an analogy, it is like the wind and who is forgotten when the activity is over. Moreover, not a little amount of people who started to get ignorant and unsympathetic to their own national day. Unsympathetic or apathetic, obliterate the values which are ​​brought by the national day. The loss of these values ​​scrapes solidarity and social justice that should be established in the life of society and country. It is formidable that, in the future this attitude will scrape even further to limit the norms restrictions. As a student who is an agent of change and social control for the Indonesian people, this is something that we need to be look into. However, there aren’t many students who is interested to the existence of the national day. Therefore, the function as agents of change and social control cannot be in maximize. Hence , we as division kastrat Student Executive Board have to rethink ways to reduce student’s apathetic behaviour and increase there awareness as well as the society in order to commemorate the national day. Therefore, we came up with a program called “VOICE OF THE DAY (VODAY)” which is a form of peaceful protest to commemorate the national day. Through this action, we try to raise the role of students to bring together students of FEB UB to participate follow a series of activities that are presented to the general public. Hopefully, it can increase the awareness and sensitivity of students and society in understanding the national day’s essence. Enhanced awareness, information and knowledge of students in commemoration of the day. 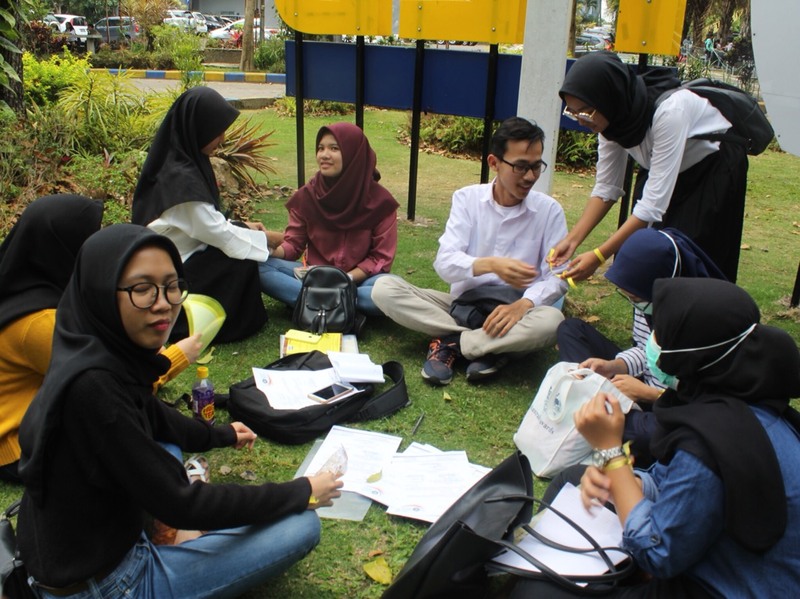 Accommodating students to mark important national days. Giving students insight about actions that can be performed by students related to the anniversary of important. 9:00 to 09:30 Registration of Participants. 09:30 to 09:50 Opening Journey to Jalan Veteran. 10:10 to 10:20 Oration peaceful anti abstentions by the orator. 10:20 to 10:50 Distribution Action Souvernir leaflets and stickers anti abstentions. 10:50 to 11:20 Dissemination Move Select Giving socialization for participants. 11:20 to 11:35 Coffee Break All the participants. 11:35 to 12:05 Dissemination Anti Abstentions to participants. 12:05 to 12:35 Questions & Answer with participants. 12:35 to 12:40 Closing action Event closed by MC. 12:40 to 12:45 Sharing Hearing MC and participants. 12:45 to 12:50 Closing event closed by the MC. 13:00 to 13:20 Opening Perform acoustics. 13:40 to 13:50 Opening Discussion Introductory material by a moderator. 13:50 to 14:20 Submission of material I by Speaker I. 14:20 to 14:50 Submission of Materials II by Speakers II. 14:50 to 15:35 Discussion FAQ. 15:35 to 15:45 Giving Conclusions by speakers. 15:45 to 15:50 Closing Discussion by a moderator. 15:50 to 16:00 Ice Breaking Perform acoustics. 16:00 to 16:10 Door Prize to 3 participants for the best tweet. 16:10 to 16:20 Closing event closed by MC. 12:30 to 13:00 Participant Registration. 13:00 to 13:20 Opening greetings by MC. 13:40 to 13:50 Opening Discussion Introductory material by Moderator. 16:00 to 16:10 Door Prize to 3 participants for the best participants. 16:10 to 16:20 Closing event by the MC. 12:30 to 13:00 Participant Registration Registration of attendees. 13:00 to 13:20 Opening Address by MC. 13:50 to 14:20 Delivery of material I Submission by Speaker I. 14:20 to 14:50 Submission of Materials II Submission by Speakers II. 15:35 to 15:45 Conclusions Conclusions Submission submitted presenters. 15:45 to 15:50 Closing Discussion Discussion is closed by a moderator. 16:00 to 16:10 Door Prize Distribution of prizes for the three best participants. 16:10 to 16:20 Closing event was closed by the MC.